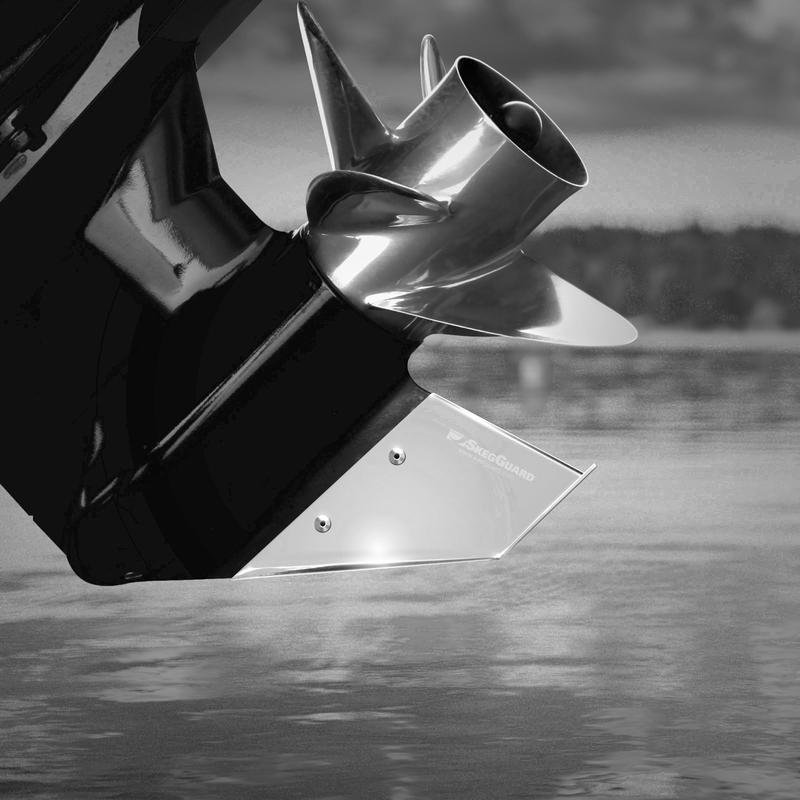 After many years of experience in supplying boat shafting to the marine industry, United Propeller is proud to make Aqualoy® available to their customers. Aqualoy® Marine Shafting has undergone more quality controls than any of the competing brands and is used in a wide variety of applications including work boats, pleasure craft, high performance boats, naval craft and other ocean going vessels. From final straightening to machining, United Propeller produces and supplies a rounder, straighter shafting then any of it’s competitors. Aqualoy Marine Shafting and United Propeller – there’s no substitute for quality! Aqualoy 17 is designed with the commercial workboat in mind. 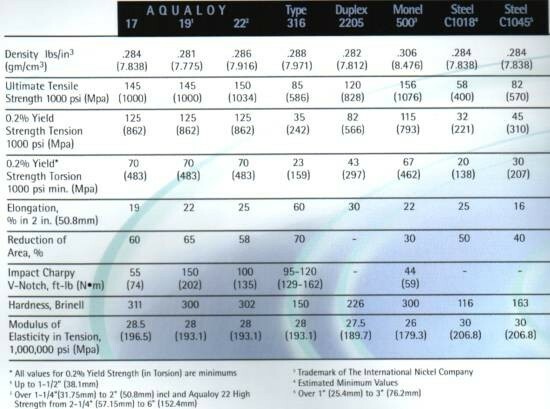 In the larger diameter shafts, Aqualoy 17, unlike the other grades, maintains its strength throughout all diameters. In the smaller diameters, it is not uncommon to use 17 for fresh water environments. Most crew boats that service offshore drilling rigs are equipped with Aqualoy 17 shafts. So are shrimp trawlers…as well as many pilot boats, patrol boats and numerous other types of work craft. The reason for such wide acceptance in rugged service is simple: Aqualoy 17 shafts have proven themselves to have the finest combination of strength and toughness of any shafting material currently in use. When installed as original equipment, 17 shafts can be used in smaller diameters because of their extra strength. This means lighter struts and smaller bearings for less weight, less underwater drag and lower cost. Aqualoy 17 is a precipitation hardening stainless steel, which has the highest strength, and hardness of all stainless steel boat shafting alloys over 2 inches in diameter. The composition of Aqualoy 17 has been carefully balanced to offer the maximum corrosion resistance possible in a heat treatable stainless steel. We prefer to have your existing shaft before we fabricate a new shaft for you, but we can fabricate with the information above. We also strongly suggest that you send in your coupling to have it fit and faced to your new shaft. When we fit and face a coupling, we install it on your shaft and face off the face of the coupling to ensure a proper fit to your transmission. We also dimple your shaft for the grub screws and pin the keys on our shafts to eliminate the possibility of the keys riding up.